AS PRESSURE on telecom minister A Raja to resign got mounted both inside and outside the Parliament in the wake of 2G spectrum scam, his secretary Rentala Chandrashekhar, 1975 batch Andhra Pradesh cadre IAS, remained composed though he chose to take on the Comptroller and Auditor General (CAG) for its suggestions on pulling away of spectrums. While talking to a group of industrialists in New Delhi on Thursday, R Chandrasekhar said there is no proposal before the Department of Telecom to take back any spectrums from any of players as suggested by CAG. The meeting was organized by industry lobby Assocham. In fact, these days there have been more gossips than serious work in Sanchar Bhawan housing the Department of Telecom that was pulled up by CAG for allocating precious 2G spectrum at the throw away price of Rs 9,000 crore leading the government t lose revenues worth estimated Rs 176,000 crore. Though the alleged scam is likely to have political fallouts including possible sacking of the minister himself, it has raised many questions against senior bureaucrats. 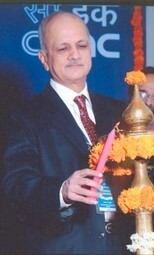 PJ Thomas, current Central Vigilance Commissioner, for example, is still hauled up for his role of defending the 2G auction when he was telecom secretary. For the record, he became DoT secretary only after the reported scam was over thereby there is no direct involvement of him in any financial irregularities. But there have been questions now why did CVC wait for the retirement of DoT secretary Siddharth Behura, a 1973 batch UP cadre IAS, on September 30, 2009, before the case was transferred to the CBI? The case was handed over to the CBI only in October 2009. China has closed 625 local government lobbying offices in Beijing. Those offices are widely considered a symbol of bloated bureaucracy and abuse of public resources. The numbers of such offices located in various parts of Beijing have dramatically risen in recent years as it was easy for local governments to lobby for central government funding if they were located near the capital.